“Magda” made her debut in the Irish Independent on Wednesday. A Polish woman, interviewed by a Polish newspaper, who’d told them that she had quit her job to live on our dole. Life was like a “Hawaiian massage” she said. She painted an idyllic picture of occasionally getting up to see the sunrise on the beach- but when she didn’t decide to sleep in until noon. Why would she bother working for minimum wage when she could get all this for free? The only downside was living in a “shithole” in Donegal. The only downside for the Indo and those who leapt on the bandwagon that none of it was true. “Magda”’s interview had been, to put it mildly, badly translated. The real “Magda”, a lady named Gaia Kowalik, has spoken of her shock at the furore. She has been doing further education courses and wishes to set up her own masseuse business. She used to sleep in until noon, but then like many an Irish student, grew up. She lost her job because off-season Donegal in the midst of a recession is not exactly employment paradise. She is also horrified at the implication that she called Dunfanaghy, Co Donegal a shithole. “Because I love the place, reading that, I was furious,” she told the Irish Times. The backtrack was speedy and inevitable. The Independent made a half-hearted clarifying statement, and all the Irish media who decried “Magda” whipped their articles offline in a heartbeat. Ms Kowalik is on the dole, but in a small town in Donegal, that is hardly unusual. She is using the social welfare system for the purpose it was invented; a safety net until she can get back on her feet. She intends to start her own business. The Polish ambassador, Marcin Nawrot, has condemned the original article. He reiterated that Poles come to Ireland to work. “Their first priority in life is to make an honest living for themselves,” he said. He’s right. In the boom years, who worked behind counters up and down the land? Who slaughtered our cows in our meat factories? Who swept up our vomit from nightclub floors? Who asked if you wanted fries in McDonalds and got late-night abuse in Supermacs? It wasn’t the Irish. We thought we were far too good for that. It was the Polish, Latvians, Lithuanians, Slovakians, and others from Eastern Europe and beyond. “Dey terk er jerbs!” Hardly. It was work that was considered below the newly-minted Paddies. And with full employment, we needed more workers. Now the country is bust, should all the Poles and other emigrants be sent back home? Well, put it this way. If Australia went to pot tomorrow, would you expect the Australian government to send the 50,000-plus Irish people living in Oz back on a plane to Ireland? Of course not. Sure Sean is married to an Aussie girl and Mary just got her residency. The hypocrisy in Irish society can be breath-taking. We have a hell of a lot in common with the Polish. We’ve both had a hard history- us with the UK, but the Polish had Russia and Germany squeezing them on either side. We like our drink. And we’ve both always been a nation of emigrants. We faced negative attitudes in the countries we moved to- in America for example, where they were “Polacks” and we were “Micks”. We Irish are so in love with ourselves at times that we do not realise not everyone shares our amour. However, despite her hounding at the hands of the Irish media, “Magda” herself still has affection for her adopted country. ““I think it’s amazing that the Irish system helps to start your own business. It gives you so many options to learn new skills; you just need to want to do it. There are things to change, but there are things that are really good as well. At least that’s my experience. I don’t want to stay on the dole. I want to work. 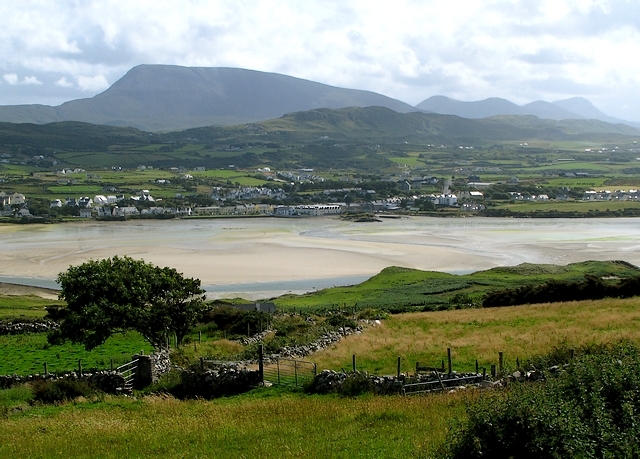 The more people bring life to small places like Dunfanaghy the better. I love that place. The people who live there love it as well.” Ms Kowalik told the Irish Times. There are plenty of Irish people who could learn from her example. This article appeared on Studenty.me on February 4 2012.